The concept of crustal rebound (which is when the ground surface moves up due to the removal of weight, such as melting ice) allows Wahr to use the vertical motion in Greenland (as measured by POLENET GPS units) to estimate how quickly a region is losing ice mass. 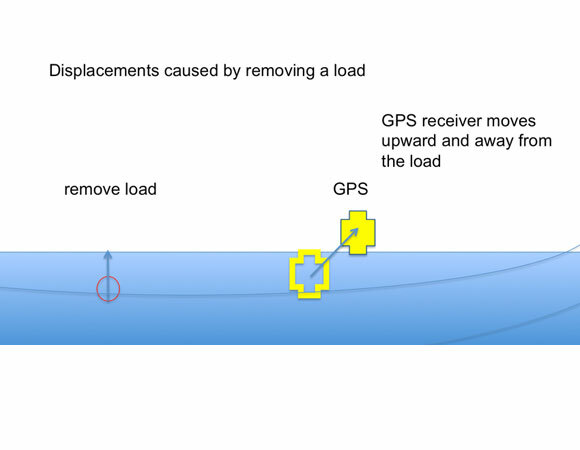 Wahr figured out that he could use both the horizontal and vertical signals from the GPS instruments to pinpoint the actual source of the ice loss, as well as the speed that the ice melts and amount of ice loss. This method has not been used in the past due to the much larger vertical signal (2-3 times) in this region, making it difficult to isolate the small horizontal movements due only to ice load removal. Wahr had to filter out the much stronger signal of horizontal tectonic motion in order to only see a horizontal signal related to melting ice. 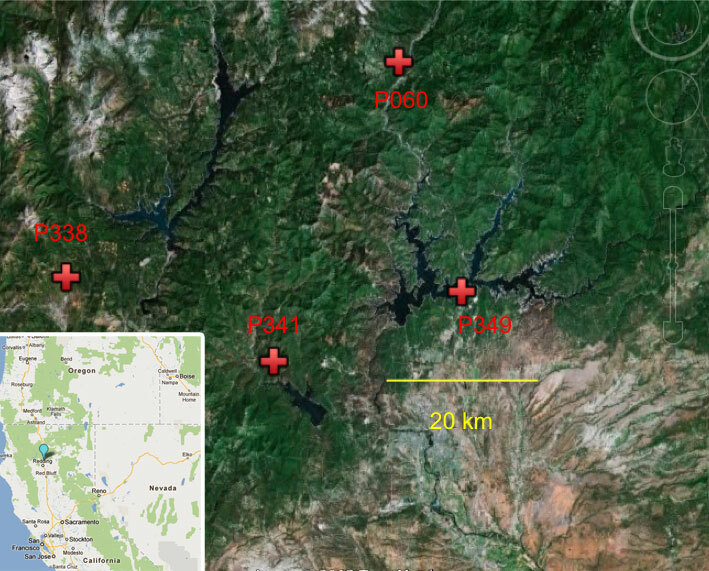 Wahr fine-tuned his method using the fluctuating level of Lake Shasta in California as a test case. Now he is applying the method to Greenland on the Helheim and Midgaard glaciers located on the southeast coast and separated by a few tens of kilometers. Wahr has been able to distinguish the changing contributions of each glacier to their total mass loss, as well as the relative rates as they change between the two glaciers. 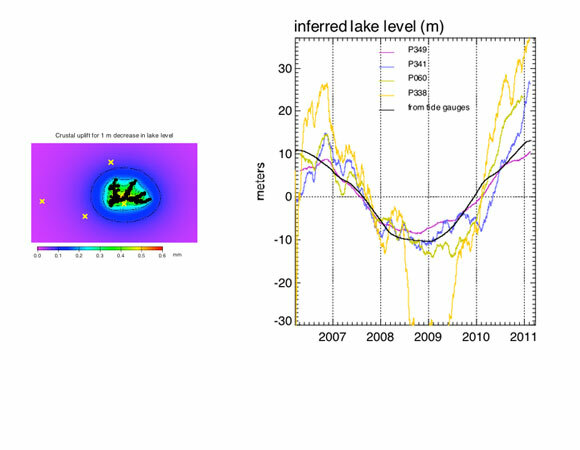 These observations provide a new level of detail previously unattainable using GRACE (Gravity Recovery And Climate Experiment) measurements or previous GPS techniques. Figure 2. 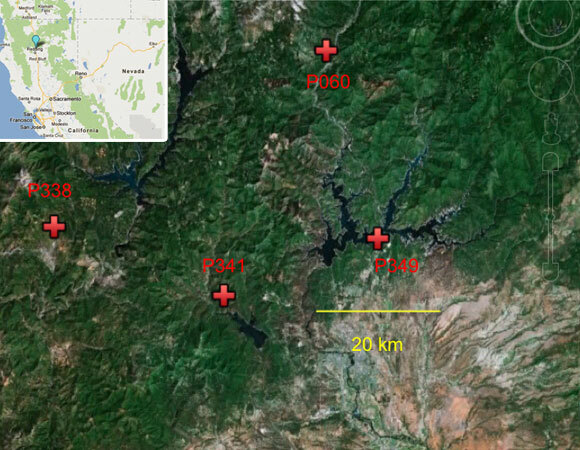 GPS stations at Lake Shasta, California (Shasta-Trinity National Forest of Shasta County, California). Figure courtesy of John Wahr. Figure 4. 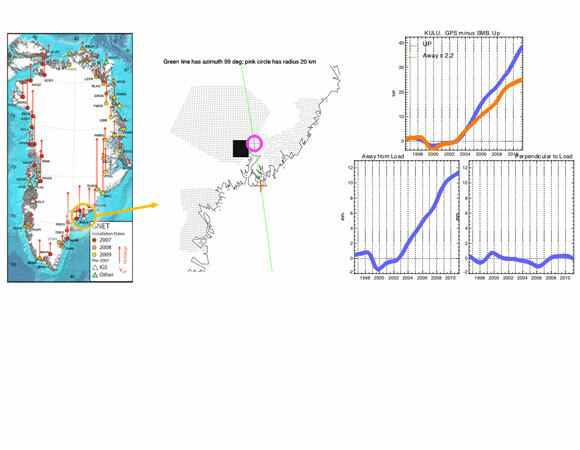 POLENET permanent GPS stations on Greenland (from Mike Bevis, Ohio State). Center: The mean horizontal direction of KULU is southward along this green line. Panels 2 and 3 are courtesy of John Wahr. 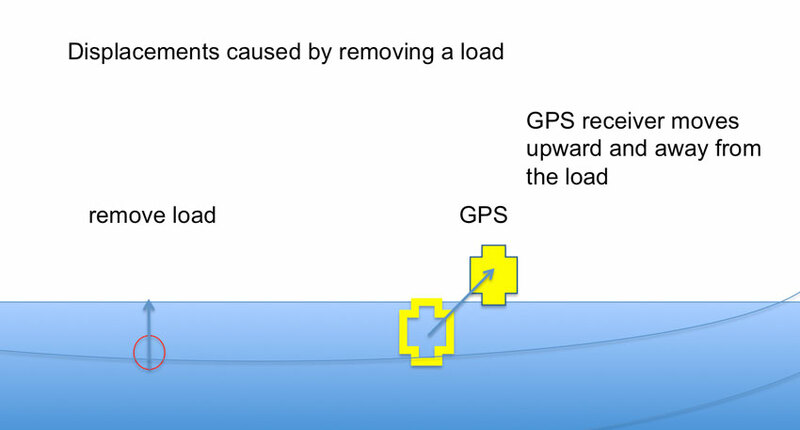 Wahr, J., Khan, S.A., van Dam, T., Liu, L., van Angelen, J.H., van den Broeke, M.R., Meertens, C.R., 2013: The use of GPS horizontals for loading studies, with applications to northern California and southeast Greenland. Journal of Geophysical Research Solid Earth. 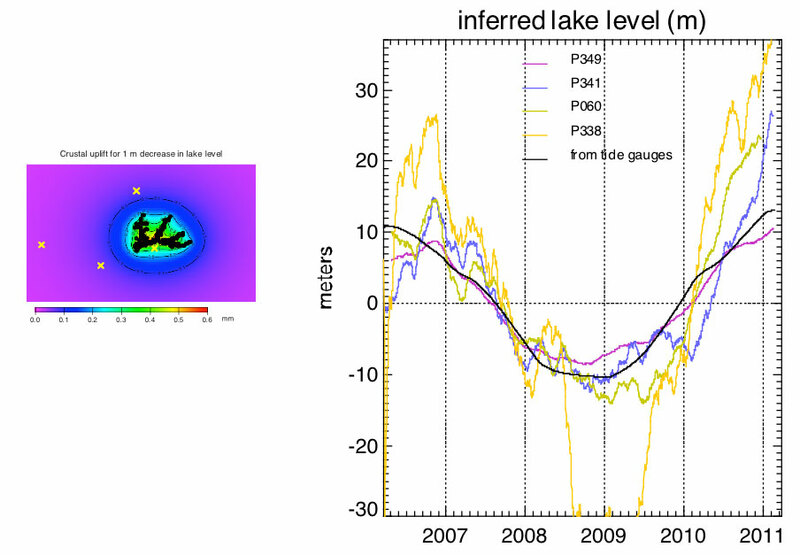 Khan, SA, J Wahr, E Leuliette, T van Dam, KM Larson and O Francis (2008), Geodetic measurements of postglacial adjustments in Greenland. J. Geophys. Res.-Solid Earth, 113 (B2), doi:10.1029/2007JB004956.